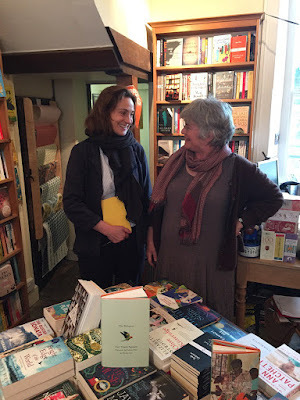 Sarah Winman, author of When God Was a Rabbit, A Year of Marvellous Ways and the forthcoming Tin Man, dropped in to the bookshop, lightening this rainy afternoon with her smile and her friendliness. We discussed events, and she said that she is of the view that so long as there is an equal number of performers to audience the show goes on - so refreshing, when very often I am asked to guarantee over a hundred people per talk or quizzed on how many books we sell at our talks. Read her books - a tonic for these times.